Balance and energize your home with this advanced feng shui sound treatment program. "Balance your home, balance your life." That's the essence of feng shui, the Chinese system for creating an energetically healthy dwelling. 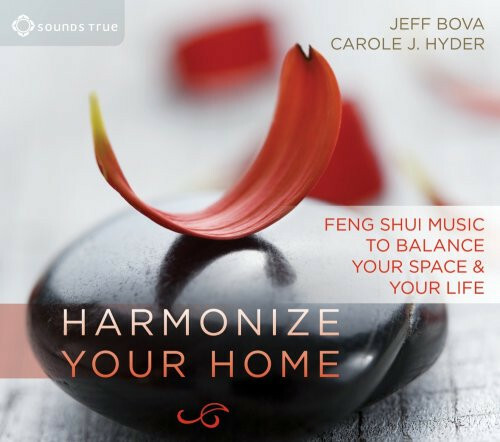 Created by two leading-edge innovators in sound-based tools for feng shui professionals, this recording has proven to be so effective that its creators recommend using it primarily when you are not at home: simply set your intention as instructed and play it while you're away. Specific harmonic principles then work to balance the five elemental energies of your living space—inviting the fruition of your highest aspirations and potential. Lovely, inspiring and relaxing...with "Harmonize Your Home" playing in the background, I was finally able to settle down into a deep state of meditation. It was as if I were balanced within my surroundings.